I didn’t do so hot, getting only about half of the goal for this. That being said it was a busy weekend! Much busier than I had anticipated. I was happy with what I got done. I finished only one book Everything Leads to You by Nina LaCour which was a delight and I would highly recommend. I got a good chunk through my current Kindle book The Steerswoman by Rosemary Kirstein which is also a lot of fun, and also started into my TBR jar pick, the Minaturist by Jessie Burton. 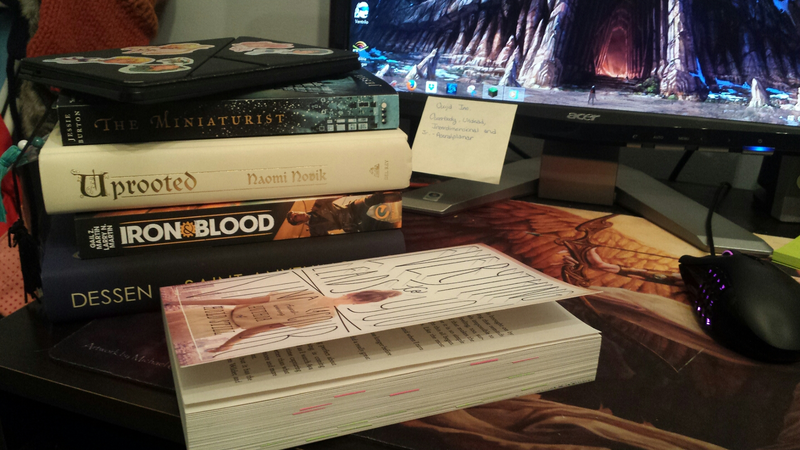 I also picked up Uprooted by Naomi Novik but didn’t get far at all. So though I didn’t get my entire TBR completed u am happy with how the weekend went. What I read, I really enjoyed! That’s ultimately what matters right?